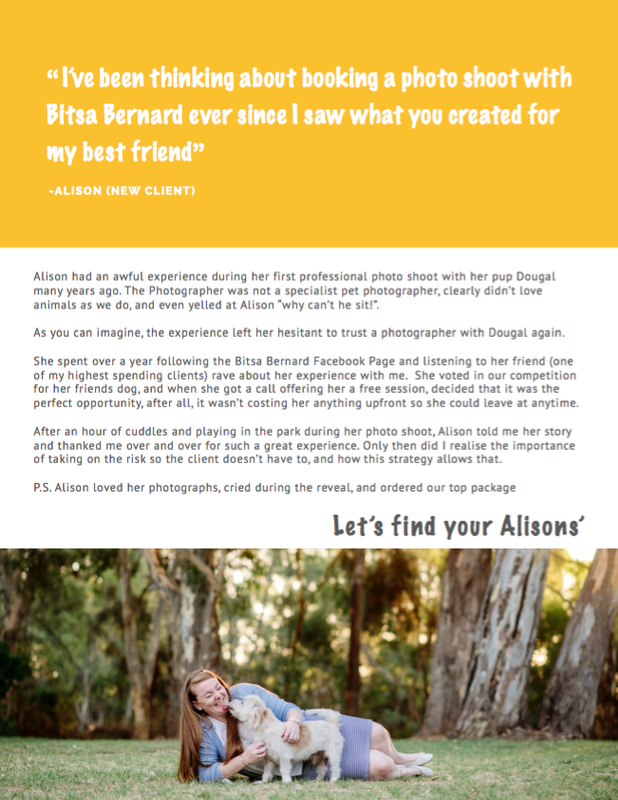 Third party promotions make up a large percentage of Bitsa Bernard’s new clients each year. 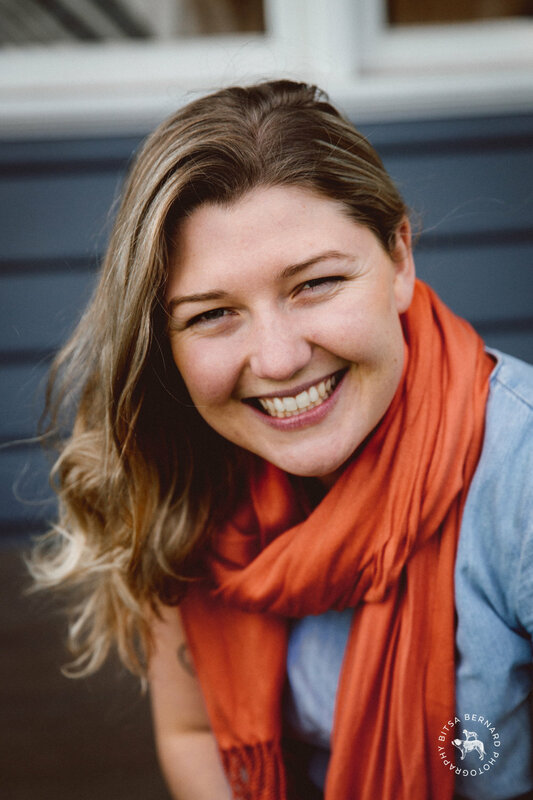 Get access to the letter we have our partner businesses give their clients and the overview to how we implement this strategy which has brought in up to $20,000 per month to my business, Bitsa Bernard. 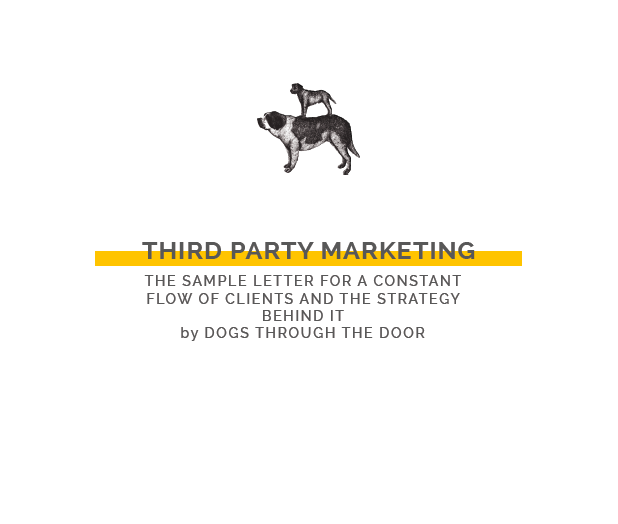 The step-by-step guide to a $0 marketing strategy for pet photographers by Dogs through the Door. 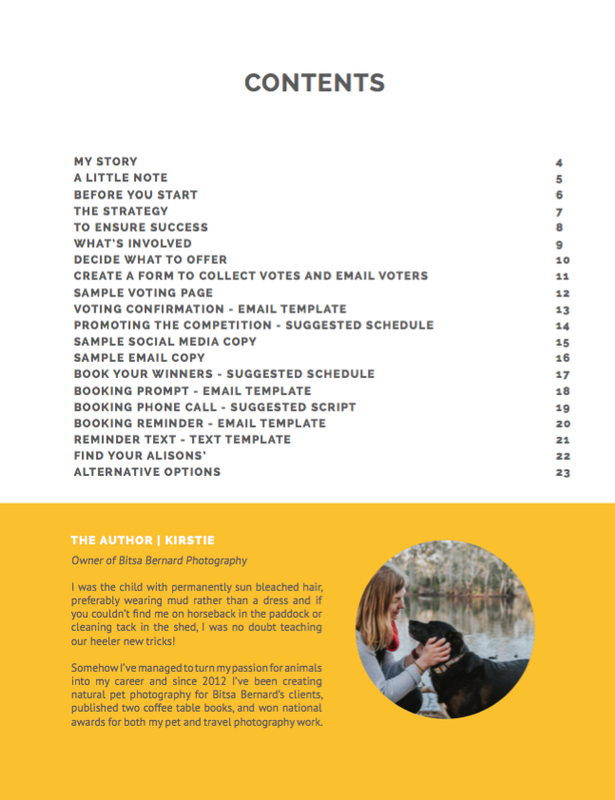 This 24 page guide is based on a Dog of the Year competition but can be applied to any competition that gets people excited about a pet photoshoot! This guide can be used for any competition that gets the community involved and their friends voting and will work for both new and established businesses.